I didn’t really know what I to expect when I was unboxing the KeyCase made case for the Nexus 7 – I had my skepticism regarding the keyboard mostly because it would be so tiny. I couldn’t imagine it being that awesome. The case itself was in a plastic bag inside the box, no protective covering but the case is protection enough, I guess. There was a Nexus shaped foam inside the case, and an instructional card. 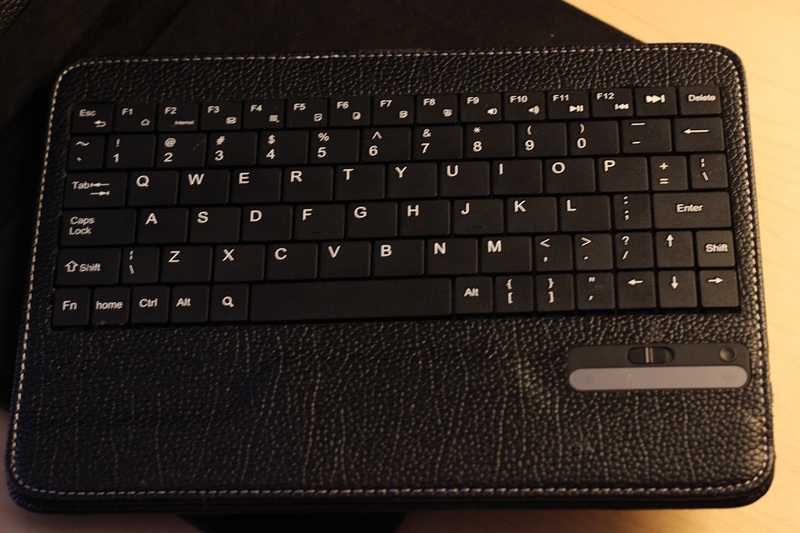 The Bluetooth keyboard looks surprisingly well-made with tactile keys. It requires to be charged for three hours before use though, so I couldn’t play with it right out of the box. Once charged however, I slipped everything into my place. The Nexus 7 slides into the case easily enough and then you have a Velcro flap that goes under it keeping it in place. 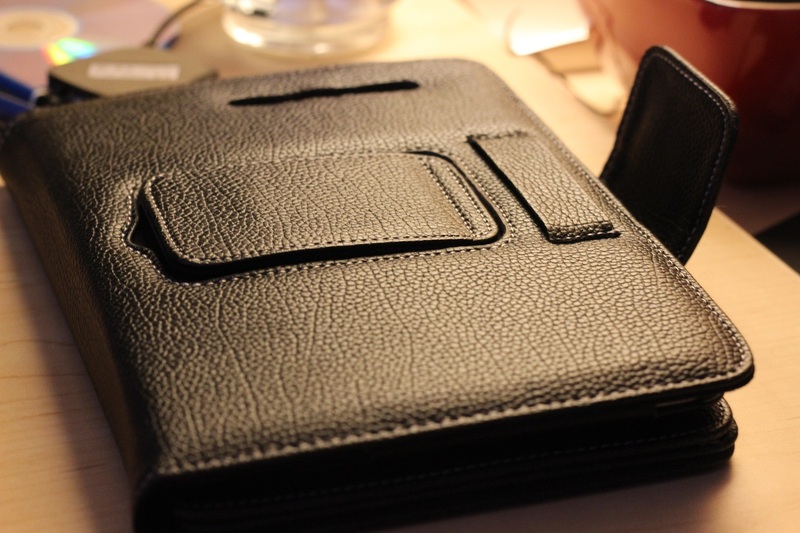 It’s open on most sides, but the Nexus 7 case is big enough that it’ll protect the tablet if it falls. There’s a strip of opening at the back for the speakers and openings at the bottom for the USB and the 3.5mm cord. The Nexus 7 case has a stand that flips out orienting the tablet horizontally. I wish the stand was a little longer, though. I don’t know how other people feel but I am a fan of a less angular viewing angles. It stands very nice though and the build quality is very solid. Using the keyboard is easy enough. It sits on the case through a magnet so it just falls into place. You slide the switch on, and then connect to the Bluetooth Keyboard from your Nexus 7 through Bluetooth. You’ll receive a password on screen which you then type on your keyboard and press enter. Once my keyboard was active, I began to try it out but typing out a mail. It was… different. You can only squeeze so many keys into a 7” form, but KeyCase tried their best and I applaud it. There are a few hitches though while you’re typing. And that’s understandable, they just squeezed pretty much the whole QWERTY keyboard on it. But a really annoying thing is that the apostrophe/quotation key is way at the bottom beside the left arrow key. The keys are naturally very small so I was making a lot of typos and mistakes as my fingers would hit the key right next to what I wanted. The keyboard is small enough that your thumbs would bump against each other. You really have to angle it around to get a comfortable placement of fingers. However, it gets a lot easier to type if you go for a less traditional typing ergonomics, for example using just a few fingers instead. I actually got used to the little keyboard after a little while though I was still missing keys here and there. In conclusion: It’s a nice keyboard and case combination. You can’t expect a perfectly comfortable keyboard on a 7” form but KeyCase tried to deliver the complete experience and is decently successful at it. The responsiveness of the keyboard is great and once you get used to the smaller form factor, it’s a handy tool for those that like writing long mails, chatting with friends and maybe even likes writing as a go, but hopefully you won’t make as many typos as I did! 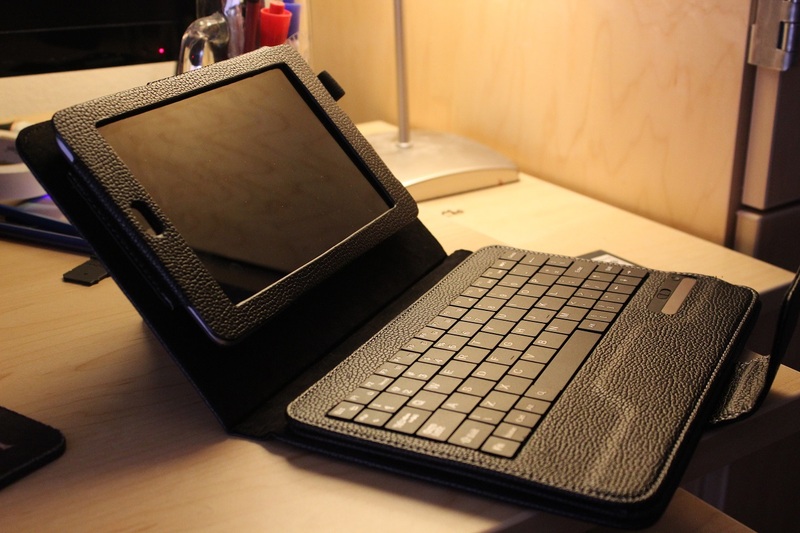 This great Nexus 7 case+Keyboard was provided by Mobilefun.com, do check out their Nexus 7 accessories!